While most of us enjoy a regular run, sometimes external factors prevent us from enjoying them outside. Perhaps you live somewhere where the weather is usually bad. Perhaps your neighborhood is particularly unsafe and running isn’t worth the risk. Whatever the case may be, luckily there are running solutions available to you that don’t require you to leave your house. 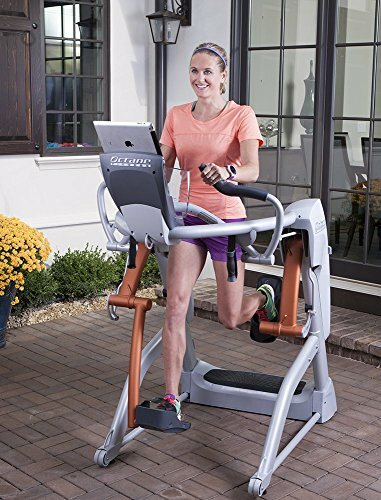 Treadmills and running machines are great ways of ensuring your daily dose of motion from the comfort of your own home. What’s more, often the benefits of using one of these machines outweigh that of outdoor running. 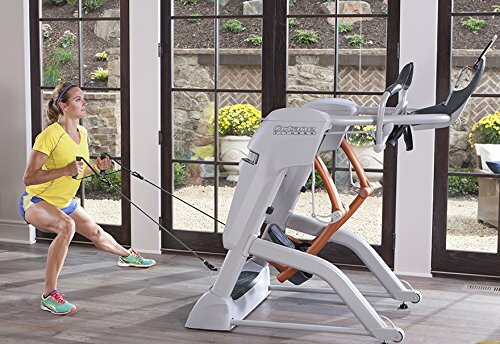 The Octane Fitness Zero Runner is the latest in at-home fitness. We took an in-depth look at the world of zero-impact running and at the device itself, weighing the pros & cons in the process. Let’s take a look. Zero-impact running gives a person the holistic experience of a run without any of the ground impact. This is achieved through the use of zero-impact running machines. 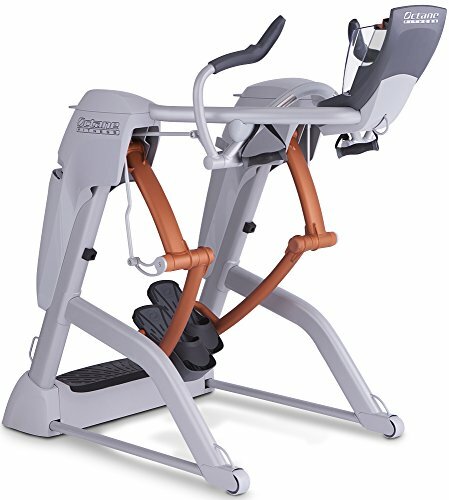 These machines are designed to elevate the user while running so that their limbs need never touch the floor. Each leg is suspended on an individual platform. The user climbs up and holds onto handlebars in order to simulate the motion of forward movement. As the running ensues, there is never any contact between the feet of the person and a hard surface. The experience of having each foot and leg repeatedly hit the floor is completely eliminated; Along with all the damaging effects that would usually come from this occurrence. Daily running on hard surfaces such as the street or gym flooring can cause bodily damage over time. Condition such as shin splits are common occurrences in individuals who participate in impact running. Zero-impact running machines prevent this from happening. The other helpful thing about these machines is the plethora of features that come along with them. The built in screen will allow you to track everything from your distance to your heart rate. You can adjust the intensity and resistance levels for the platforms to simulate your desired terrain. The units also feature performance grips that allow you to replicate the arm movement closest to your natural state of running. You might be thinking “Well I already have a treadmill, it’s close enough”. The truth is that although both these devices simulate the action of running, their abilities are vastly different. Treadmills are unable to protect your bones and limbs in the ways a zero-runner can. A treadmill always requires contact with a hard surface in order to keep movement flowing. Your feet and legs are forced to absorb the shock of each running movement for the duration of your treadmill session. Treadmills also require electricity to work whereas a zero-runner uses the energy being generated by the runner to power the device. It’s far more environmentally friendly and energy efficient. Essentially, treadmills are the more outdated solution to running at home. They served their time but technology has advanced in ways to give us safer, less harmful ways to keep our fitness levels up and it’s worth the investment. Working with the Octane Fitness Runner gives you direct access to their new SmartLink fitness app. The app works in conjunction with the Zero-impact runner in order to give you the optimum home workout available. The app is goal driven and is designed to provide each individual user with the best tips, routines and workouts for their desired fitness levels. Endurance and strength are monitored & progress can be tracked daily using your phone or tablet. The app is a great way to get control over all elements of your fitness regime, instead of just relying on physical results to present themselves over time. The weight limit of the ZR8 is approximatley 300lbs. Upon receiving your unit you’ll be required to put it together. Assembling is estimated to take roughly four hours to complete although most users report the process to be much faster than this. There is much debate around the differences between the newer ZR8 model and the older ZR7. We believe the impressive upgraded features are entirely worth the extra cost. Unlike the ZR7, the ZR8 is made using high-performance aluminum legs allowing for faster strides. The ZR8 frame is heavy duty and less prone to wear & tear than before. The handles are contoured and performance grip fitted so arm movements are better reflective of real running. The pedal spacing on the ZR7 was 2.0” whereas the ZR8’s is much closer at 1.4”. Something that the earlier models were void of entirely was Bluetooth compatibility straps. The Octane Fitness ZR8 Zero Runner is an impressive, feature packed device and a great solution to zero-impact running. As we learn about the harmful norms and habits we put our bodies through it’s important to make changes where possible. With this it’s easy to change! Investing in one of these running machines is both a means of training and an insurance policy on your health. For the sake of your limbs - buy yours today! Health and fitness have always been a passion for me; whether its being in the weight room, going for a run before work or even participating in a half iron man triathlon. ShapeJunkie was created to share to knowledge and love of fitness with others.